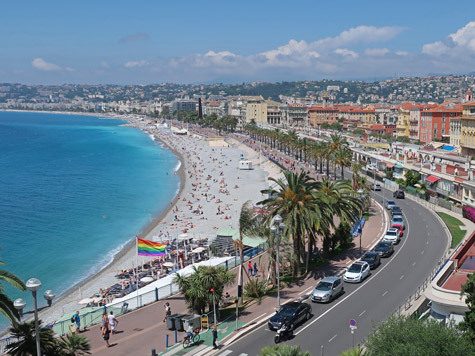 Many tourists travel to Nice France to enjoy its warm, dry weather and long beaches. The pebble beach in Nice stretches for miles along the French coastline. Restaurants and boat rental shops can be found all along the Mediterranean seaside. The best sandy beaches near Nice can be found in Antibes and Juan les Pins.